Georgica Builders is owned by Michael White, who has been building new luxury homes from Montauk to Manhattan for over 30 years. For the past 15 years, Michael has focused on the Southampton area, where he also lives and maintains his well-staffed office. Over the years, Michael has established an extensive network of professionals, including architects and other design professionals, who can design and execute any project from conception to completion. Georgica Builders has recently completed two luxury homes in Southampton: 104 Lewis Street and 54 Lee Avenue. A third is under construction at 35 Woodthrush Lane, Water Mill. 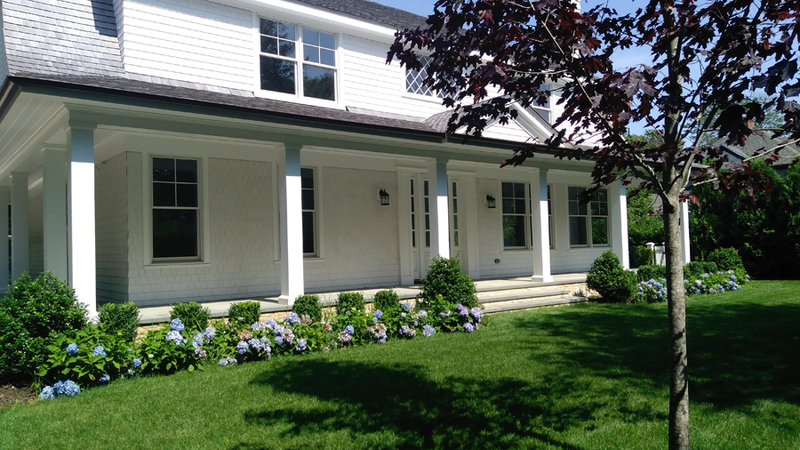 All are now being marketed by Hamptons Habitats Realty, 4 N. Main Street, Southampton. Each home built by Georgica Builders is carefully designed and built to the highest standards. Georgica Builders often completes its projects at less cost and in less time than do other builders of high-end homes, and can offer them at attractive prices. This is because Michael owns a demolition and excavation company, Hampton Site Worx Corp., with its own heavy equipment, and he has longstanding relationships with expert subcontractors in the area. The newest Georgica Builders project, now on the drawing board with preliminary approvals in place, consists of building three traditional cedar-shake homes, on adjoining lots bounded by traditional white picket fencing, along N. Main Street, Southampton. As a resident of Southampton, Michael has long envisioned cleaning up and improving this gateway to Southampton and has waited several years for the right opportunity, which recently presented itself when he was able to acquire over three acres along N. Main Street and subdivide the property into three lots. Michael sees this as only the first step toward restoring some of the lost historic beauty of this quaint village and is hopeful that, once this project is completed, similar opportunities will present themselves. He also hopes that his beautiful homes will spur existing homeowners along N. Main Street to restore their homes to their former grandness. “North Main Street is the point of first impression for most visitors to the Village of Southampton and should reflect the beauty and historic nature of our community, and, if possible, even enhance it. My homes will incorporate many of the aesthetics of historic homes that make our community so quaint and will hopefully create a lasting, positive impression for visitors to our village, not to mention attract and encourage young professionals to settle here with their families,” says Michael. One can readily sense Michael’s passion and excitement about this project when speaking with him. For more information on any of Georgica Builders’ properties, one should contact Suzy Fallon, the principal of Hamptons Habitats Realty Corp., at 631.283.0185. If you have a project planned in the Southampton area, you can reach Michael at 631.283.7770 and he will gladly review your project with you at no cost.